The RTPI have announced the shortlisted finalists for this year’s RTPI Awards for Research Excellence. The Awards, which cover five categories, aim to recognise and promote high quality, impactful spatial planning research from RTPI accredited planning schools, and planning consultancies around the world. This year the shortlist includes research from across the UK, Hong Kong, China, South Africa, Canada and Ireland. Idox sponsors three of the Awards categories – the Planning Consultancy Award, the Student Award, and the Sir Peter Hall Award for Wider Engagement. The shortlist provides a snapshot of the diversity of areas that planners work in, and the importance of planning in solving societal issues. 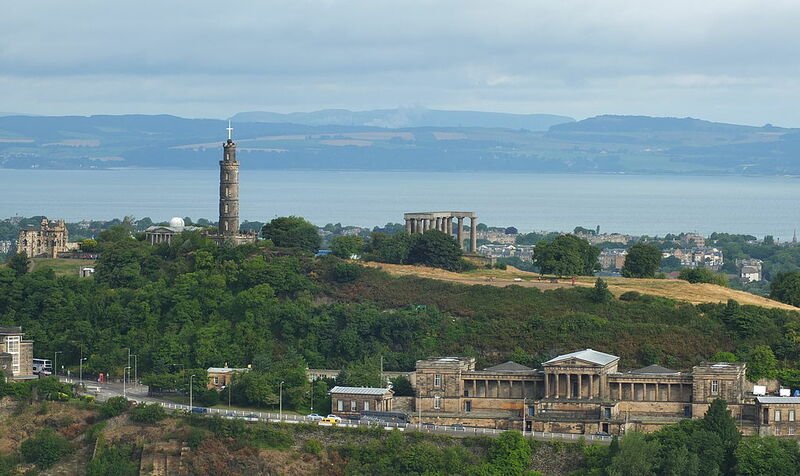 Research projects include work on planning for different religions, participatory planning, unlocking residential development on high streets, and Scottish marine planning. Projects on heritage, build-to-rent housing, walkability and improving streets, have also been shortlisted, reflecting how research is currently trying to improve planning practice. The standard of entries this year was very high, leading to twenty research projects being shortlisted – an increase of nearly 20% on last year. Winning and commended entries will be announced on 3 September during the opening ceremony of the UK-Ireland Planning Research Conference, in Sheffield. The full list of finalists for the 2018 RTPI Awards for Research Excellence are available here. We also interviewed the winner of the 2016 Sir Peter Hall Award for Wider Engagement, Dr Paul Cowie from the University of Newcastle, about the impact of winning the award for the Town Meeting project, which uses theatre to engage communities in planning. Anyone who reads our blog will know that our research team care about supporting the use of evidence in practice, whether that’s in social services, in housing, or in planning. And one of the unique resources we have to help do this is our very own library! Created over forty years, there are more than 60,000 books and reports in the library collection, as well as hundreds of different journal titles. Our members can borrow any book from our collection via a postal loan service – offered free as part of the organisational membership subscription to our Idox Information Service. While quick reads – such as the briefings written by our own team – will always be popular given the pressures on people’s time, there’s still a place for real books. Many organisations use membership of our service as a way to support their staff’s CPD – whether that’s informal personal development or supplementary support for staff doing formal courses or degrees. We’re regularly adding new books to our collection and two that caught my eye recently are in the field of planning. We’ve a lot of members who work in planning across the UK, including the RTPI (Royal Town Planning Institute) themselves, and as a profession, planners commit to maintain and develop their expertise through Continuing Professional Development. Using our book loan service is one way that our members can access new publications and stay up-to-date with current thinking in their sector. Neighbourhood planning was one of the rights and powers introduced under the Localism Act of 2011, and was expected to offer ” a new way for communities to decide the future of the places where they live and work”. Six years on, a new book edited by Sue Bronhill and Quintin Bradley, reflects on whether neighbourhood planning has succeeded in increasing democratic engagement with the planning system. In particular it examines how localism has played out in practice, especially given the legal and technical skills that are required in planning. As well as exploring the situation in England, the book also looks at how multi-level governance is being applied in the other parts of the UK and in countries such as Australia and France. It raises interesting questions about whether neighbourhood planning has changed the institutional structure of planning and the power relations involved. It also asks whether an even more progressive form of localism within planning might emerge. With the planning systems and law devolved within the UK, a book which provides an overview of how practice differs in each nation is much needed. This book covers all the core areas, from development management, planning conditions, planning control and enforcement. It also addresses the planning arrangements in specialist areas such as minerals planning, waste planning and marine planning. The book serves as a useful reminder of how and why planning decisions are made, and the legal frameworks that underpin planning practice. As Dr Mike Harris, Deputy Head of Policy and Research at the Royal Town Planning Institute, has said, it’s important that the planning profession is able to access and use evidence and research. Our members include policy makers and practitioners from organisations including local authorities, central government, universities, think tanks, consultancies and charities. They work in challenging environments and often need evidence to inform service delivery or decision-making. Get more information on membership here or contact us to arrange a free trial of our service for your organisation. Planning, and more specifically ensuring the delivery of new housing, has probably never had a higher profile on the political agenda in recent years. The focus on the performance of planning authorities is, of course, happening within a context of ongoing resource constraints and the wider Brexit-related uncertainties. Within Scotland, there also appears to be a renewed debate and potential conflict between the plan-led system versus ‘planning by appeal’. And so its timely to look at some key recent developments which suggest the priorities in 2017. Work to take forward the reform of the Scottish planning system is ongoing, and six themed working groups are now in place in order to inform the preparation of a White Paper expected to be published for consultation at the end of 2016. Our August issue of SPEL Journal contained a number of articles commenting on the Planning Review. In addition to this, the Programme for Government published on 7 September included announcements in a number of areas of interest to planning and environmental law. Legislation which will be promoted during 2016-2017 include a Forestry Bill which will complete the devolution of forestry to the Scottish Government. Early 2017 should see proposals for a new Climate Change Bill which will sit alongside a Climate Change Plan and accompanying Energy Strategy expected to be published this winter. These will outline the Scottish Government’s intention to reduce Scottish emissions by 80% between 1990 and 2050 and “represents a bold statement of Government’s priorities for the coming decades”. The Programme for Government also reiterates the continuing commitment to the target of supplying 100% per cent of electricity demand by renewables by 2020. There is mention of a Circular Economy and Zero Waste Bill. This is due to be introduced in the second half of the parliamentary session. This Bill sits under the 2016 Circular Economy Strategy, Making Things Last, which, among other things, establishes Europe’s first food waste prevention target. No detail is given as to what this Bill will contain but it is mentioned alongside a commitment to continue working with local authorities on improving recycling rates and to consider the role of deposit return schemes, which perhaps gives some clues. The key planning-related news in the Programme is that a Planning Bill is to be brought forward early in the parliamentary session (this was subsequently clarified to mean autumn 2017). This follows the recent independent review of planning. The recommendation for Simplified Planning Zones, which came out of this review, is also to be implemented. This will be done ahead of the proposals for legislative change in the Bill. The purpose of these Simplified Planning Zones is to encourage housing development, and ties in with a commitment to deliver 50,000 new affordable homes over the next five years with 35,000 of them being available for social rent. promote diversification of housing types and supply, and innovative housing delivery. The Programme for Government also suggests that we should see interim measures to modernise compulsory purchase orders so that vacant and derelict land can be brought back into use in communities. The Scottish Law Commission submitted a report at the end of September to the Scottish Government on proposals for an overhaul of compulsory purchase, following consultation. Finally, moves continue to be made in the controversial area of land reform following the Land Reform (Scotland) Act 2016. During this programme, the Scottish Government will be taking steps to implement the 2016 Act, including recruitment of the new Scottish Land Commissioners and consulting, in the autumn, on a Land Rights and Responsibilities Statement. There is also an ongoing consultation about proposals for a register of controlling interests in Scotland’s land to improve transparency in the ownership of land, with regulations to go before the Scottish Parliament in 2017. In August the Scottish Government began a consultation about implementing reforms to the environmental impact assessment (‘EIA’) procedure. This relates to how Scottish Ministers propose to bring the requirements of European Directive 2014/52/EU (known as the ‘EIA’ Directive) into Scottish legislation, which must be done by 16 May 2017. The consultation paper is accompanied by draft regulations in relation to town and country planning and electricity works, with parallel adjustments to be made to the other regimes where EIA applies, including forestry, trunk roads and marine licensing. A separate consultation will be held on ports and flood management. The consultation closes at the end of October 2016. As can be seen, the next year looks like it could bring some significant changes to the planning system in Scotland. The Scottish Planning and Environmental Law Conference, and SPEL Journal, provide much-needed channels for the planning community in Scotland to consider these challenges, and stay up-to-date. Planning for later life … where does retirement housing fit in strategic planning? How does the planning system recognise and reflect the needs of different social groups for housing and amenities? And how should planning respond to current demographic trends? You would assume that these questions would be central concerns of strategic planning and local plan creation, given the long-term view that these processes require. Arguably however, statutory land-use planning has actually been relatively indifferent to the specific needs of age. The regulation of land use and development is informed by broad strategic assumptions regarding economic, demographic and social changes. And in addressing the provision of housing, the tendency has been to meet the needs of the ‘nuclear’ family. Other groups, such as the young, the unemployed, the socially excluded and those in ‘later life’, tend to be accommodated at the margins or by default. This is often satisfied through the planned provision of social and educational facilities, rather than being driven by the aspiration for a fully integrated society. Planning and housing policy interconnect in the UK in a complex and confused way. Housing shortages, the lack of affordable housing, an aggressive geographical divide, widespread social exclusion, the rise of ‘generation rent’ and dysfunctional housebuilding practices all coexist as problems which planning policy is expected to solve. Meanwhile the realities of 21st century life – such as the fragmentation of extended families due to employment opportunities and longer life expectancy – is creating a market for appropriate housing for older people. 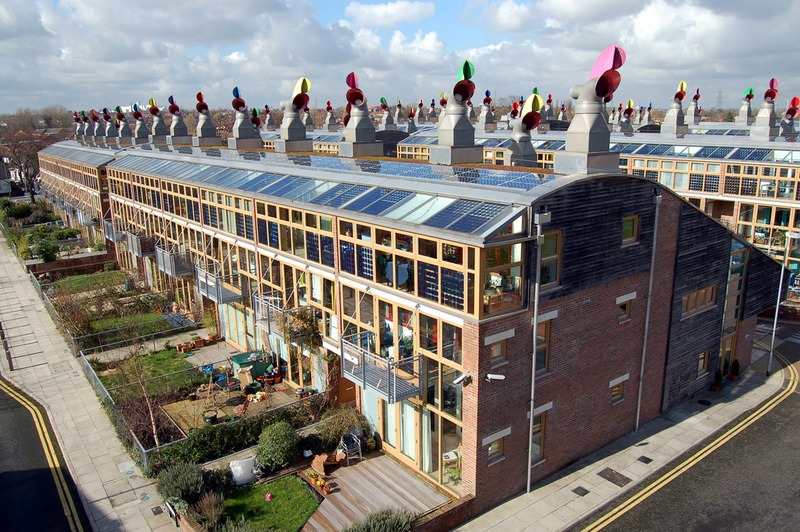 Planning for retirement housing has been described as the UK’s next housing crisis. Research has pointed to demand for retirement housing increasing as older people (especially those with income, wealth, social networks and health) seek more appropriate accommodation for their later lives. And left to market forces, those in later life compete with first-time buyers for smaller properties. Failure to downsize can exacerbate wider housing market pressures and create very real psychological and health costs for individuals. Planning has a role here – as shown by a recent Demos study demonstrating how better design of retirement accommodation can help to address the blight of loneliness in later life. A recent report by Anchor – a not-for-profit provider of housing and care for older people – highlights the issues created by the absence of appropriate retirement housing provision. They argue for a National Task Force on retirement housing; exemption from stamp duty for retirement homes; and reform of the planning system (in England) to remove current disincentives to constructing appropriate numbers of retirement houses. In terms of changes to planning, they suggest that local planning targets for retirement housing be introduced in local plans; that retirement homes projects be exempt from planning obligation provisions and that eligibility for the Community Infrastructure Levy be reviewed; and that retirement housing should be given the same priority status as affordable housing in development plans. Similarly, a new All Party Parliamentary Group report on housing and care for older people, published in June this year, calls for a significant change in the focus of Government policy away from concentrating simply on support for first time buyers. We’ve written before on this blog about the need for planning to address the need for lifetime homes and age-friendly neighbourhoods. There’s also a lot of research going on into how housing and communities can be planned and designed to assist people with dementia. Not everyone enjoys later life in the same way and there are considerable discrepancies and inequalities evident – often reflecting earlier life chances. While the planning system has a role to play in addressing these issues, we must recognise that it is a symptom of a wider failure to confront the needs of older life within society. There is a need for a respectful national conversation about how we address the public (social) and private realities of the modern economy. Who decides and interprets planning policy … planners or lawyers? This week, individuals from local councils, town teams, business improvement districts (BIDs) and industry bodies will come together to share and learn from high street revitalisation success stories as part of the Future High Street Summit. The Summit, set up by retail expert and high street campaigner Clare Rayner in 2014, refutes claims that the ‘high street is dead’. It argues that far from being dead, it is instead ‘evolving’. Looking at recent headlines, one would be forgiven for believing the high street was in terminal decline. For example, it was recently reported that in a study of multiple retailers across 500 towns, the net loss of stores in 2014 was nearly three times greater than in 2013 (987 compared to 371). the digital delivery of some products (music, books etc) removing the demand for high street music shops. ‘Showrooming’ – when shoppers look at products in store, then buy the product online from a different supplier – has also been identified as another potential threat to high street stores. So given these challenges, does the high street really have a future? According to Mary Portas it does. In her recent reflections on the progress made since her 2011 review of how government, local authorities and businesses could better promote the development of more prosperous and diverse high streets, she argues against predictions of the high street’s demise. She cites research by Deloitte, which found that 38% of people still visit their high street almost daily, and that that a significant proportion of people continue to use their local high street, particularly to top up on groceries (59%), buy health and beauty, and pharmacy products (55%), and buy shoes and clothes (50%). She also notes that a significant number of people reported visiting the high street to use the library (44%). Indeed, even the statistics show some cause for positivity. The Local Data Company, which publishes a ‘End of Year Vacancy Report’ in February each year, recently reported a downward trend in shop vacancy rates, from 14.5% in February 2012, to 13.4% in May 2014 – the lowest rate since 2010. So what can high streets do to support independent retailers? In Rotherham, Mary notes that mystery shoppers have been used to help local businesses improve their standards, by providing advice on quality, store layout and pricing. Local shop owners have been offered social media training, and there has been a ‘shop local’ campaign, showcasing the range of independent shops available. A ‘pop up high street’ has also been run at various locations, including council offices, retail parks, hospitals and local events, and town centre parking charges have been frozen. BoxPark is another great example of support for small independent shops. It is a ‘pop up shopping mall’ in Shoreditch, London, created entirely from containers, and houses a variety of different independent retailers, artists and craftspeople. 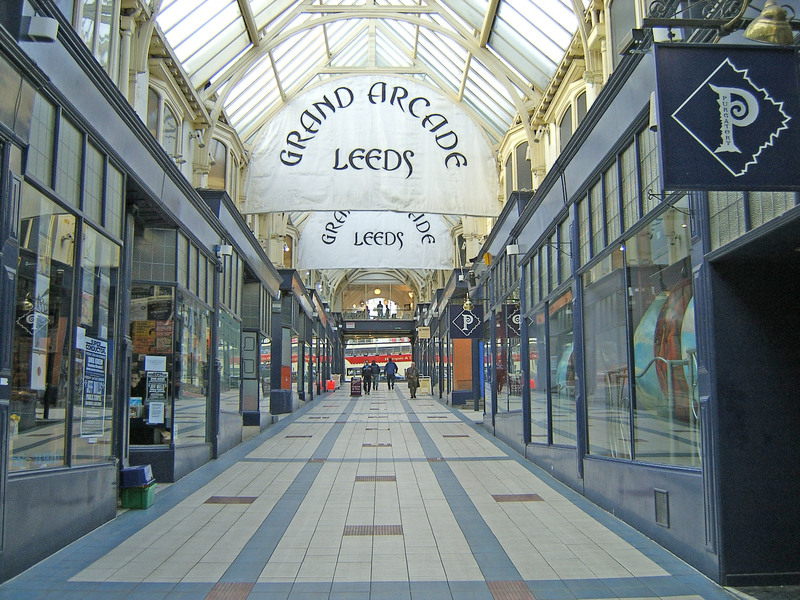 In his book, ‘How to save our town centres: a radical agenda for the future of high streets’, Julian Dobson highlights Handpicked Hall, in Leeds, as a key example of good practice. Set up in October 2012 in a vacant department store, it opened up the space to a host of local producers, including “craftspeople, artists, food makers, fashion designers, a woman who wanted to open a vintage tea salon and even a man selling carnivorous plants. People that wouldn’t fit within a traditional market and couldn’t afford to kit out a shop of their own… None could have borne the cost of trading in a traditional high street shop.” (Dobson, 2015:109). In Ashford, they have sought to address this challenge by using technology to promote the town centre. They aim to develop a ‘digital high street’, which will take the format of an innovative website and app that will guide visitors through the town, providing special offers, and ‘click and collect’ features for all the businesses. Of course, the high street has an importance far beyond retail. It also has a wider role providing services and meeting places, including libraries, health centres, tourist information centres, bus and rail stations, education centres, post offices, workspaces and meeting rooms. Recent examples of such high street services include the relocation of Dorking library to the high street, the provision of creative craft classes in Leeds, meeting space for mothers and their children in Bristol, workspace for artists in London and short term respite services for children with disabilities in Bristol, Cheltenham and Swindon. As Julian Dobson notes: “A high street, and wider town centre within which it sits, is far more than simply a collection of parcels of individually or publicly owned land, shops and highways. It is the heart that keeps a place alive.” (Dobson, 2015:256). Sharing and learning from good practice, through events such as the Future High Streets Summit and the Great British High Street competition, is a key way of ensuring that the high street remains very much alive and relevant for the foreseeable future. The Idox Information Service can give you access to a wealth of further information on regenerating high streets, to find out more on how to become a member, contact us. A recent High Court decision has significant implications for interpreting the design policies in the National Planning Policy Framework (NPPF) and the National Planning Policy Guidance (NPPG). Handing down the decision in Horsham District Council v. Secretary of State for Communities and Local Government (1), Barratt Southern Counties Limited (2) on 23rd January 2015, Mr Justice Lindblom stated “It is not a general principle in planning law that an acceptable proposal for development should be turned away because a better one might be put forward instead”, dismissing the notion that this principle had not persisted with the introduction of the NPPF. 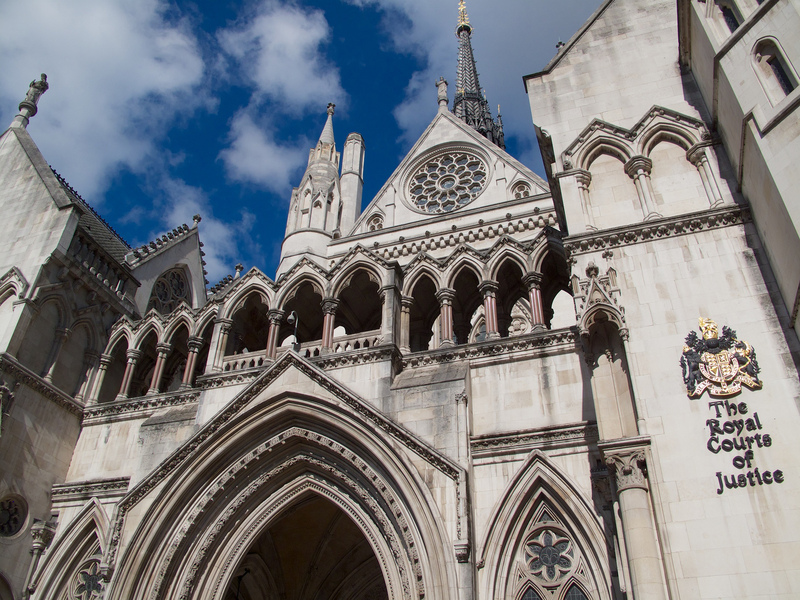 The case revolved around the question of whether an inspector had failed to take account of whether a better designed scheme could be conceived for a development site. The Court dismissed an application under section 288 of the Town and Country Planning Act 1990 by Horsham District Council for an order to quash the decision of the inspector – appointed by the first defendant, the Secretary of State for Communities and Local Government – to allow the appeal of the second defendant, Barratt Southern Counties Limited (“Barratt”), against refusal of planning permission for a development of 160 dwellings on land to the north of West End Lane in Henfield, West Sussex. The Council had contested the grant of planning permission. During an inquiry the council submitted that the proposed development was a poor design which obscured views of the landscape, that a well-designed scheme should contain view corridors to retain these important views, and that it was fundamental to the principles in the NPPF regarding good design and the need to incorporate development into the character of the area, that such a scheme should preserve these views. The inspector concluded that the likely “adverse environmental effects” of the proposed development were “limited” and did not outweigh “the considerable social and economic benefits” with respect to the early provision of new homes in circumstances of a local shortfall. He considered that policy in the NPPF did not indicate that the development should be restricted, and that the development would therefore be “sustainable”, and “the presumption in favour of such development should be applied”. In his ruling, Mr Justice Lindblom stated that the NPPF does not say that a proposal which does not take every conceivable opportunity to enhance the character and quality of an area, or which does not deliver as well in this respect as a different proposal might have done, must therefore automatically be rejected. He noted that the inspector focused on the policy in paragraph 64, as well as the wider policies on the design of development within which that paragraph is set, and that he exercised his own judgment on the issues relating to “good design” and “poor design” in light of these policies, concluded firmly that the proposal was not of “poor design”, and brought that conclusion into the comprehensive assessment of the planning merits on which he based his decision. Referring to the decision in First Secretary of State and West End Green (Properties) Ltd. v Sainsbury’s Supermarkets Ltd., Mr Justice Lindblom stated that in this case, the fact that an alternative approach could have been adopted in the design of the development, and that this could have maintained some views from the site which would have been obscured by Barratt’s development, did not mean that the design of the proposal the inspector was considering contravened government policy in the NPPF. The Court also reiterated the principle that an application under section 288 of the 1990 Act does not afford “an opportunity for a review of the planning merits” of an inspector’s decision. This case indicates that an acceptable scheme cannot be rejected to encourage an improved scheme, given the design policies of the NPPF and the NPPG. Full details of the final judgement are available here.